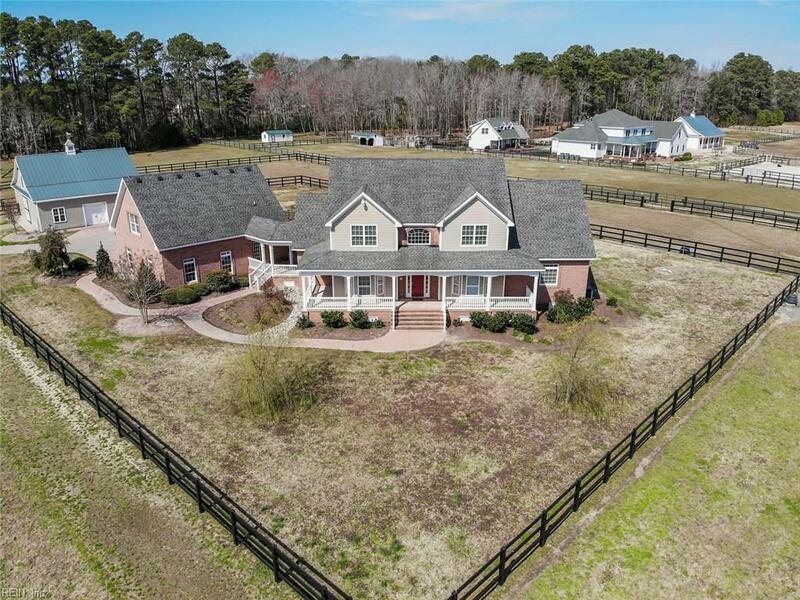 Beautiful open floor plan 4 bedroom home + office + bonus room + massive 740 heated sq ft room w/full bath over 3 car detached by breezeway garage w/an AMAZING barn on 4.43 acres in Pungo. 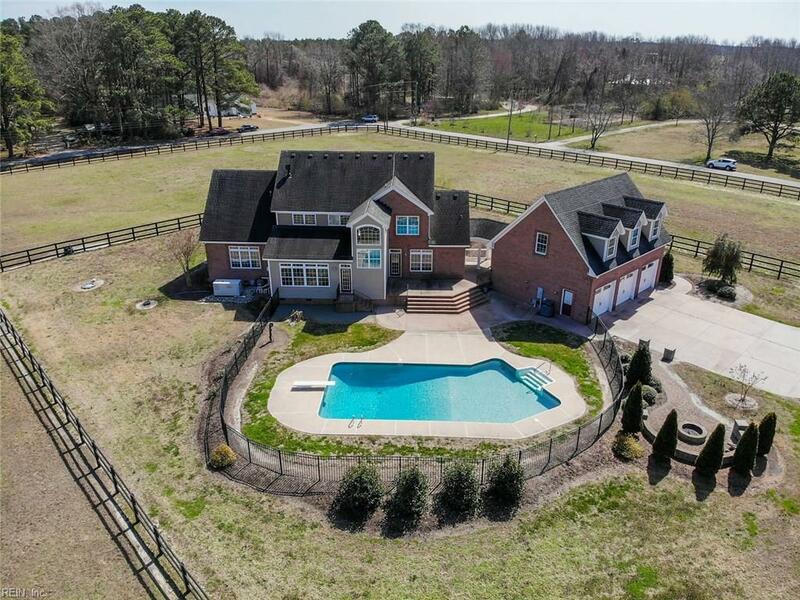 Home has beautiful hard wood flooring & tile on 1st level, 1st floor master w/private fp, stunning stone fp in family room opening to a tiled sunroom that overlooks INGROUND POOL. 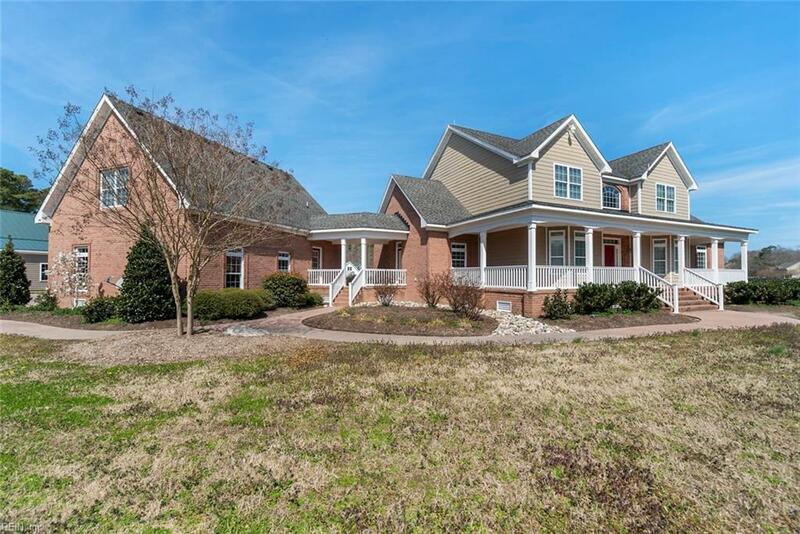 Kitchen features s/s Jenn-Air double ovens, 6+ burner gas stove top, granite counters, walk-in pantry, 1st floor laundry room, 4 full baths, 1 half bath. Bring your horses!! 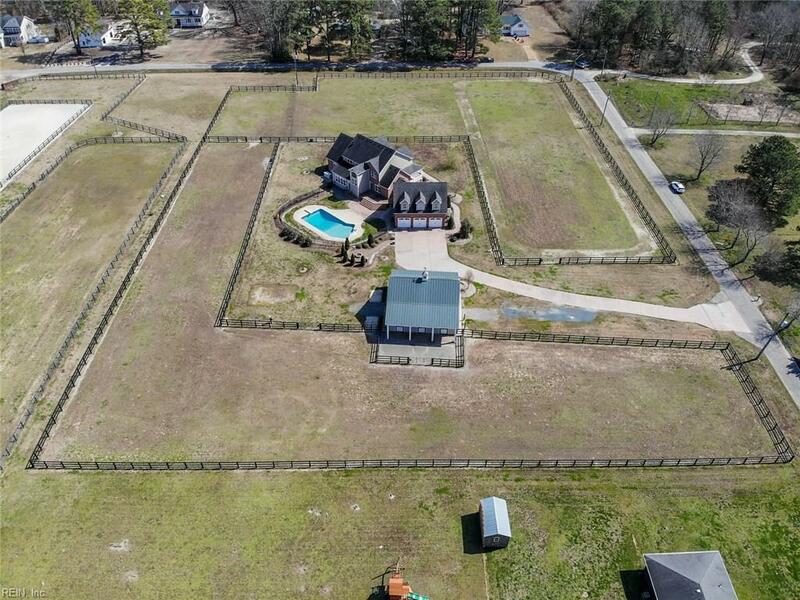 Newer custom center aisle BARN w/3 12x12 stalls, 16x12 wash stall w/hand sink, climate controlled tack room, feed room, hot/cold water, pwr, 3 rail fencing, electric fence, dry lot, 2 divided pastures, security cameras in barn & house, backup generator and so much more!